A passenger on a Southwest Airlines flight threatened to kill the flight’s passengers and crew on Saturday. The passenger had tampered with a bathroom smoke detector, and a flight attendant caught her smoking a cigarette, the airline told Business Insider. The passenger was arrested on a felony charge and sent to jail on $75,000 bail. A passenger on a Southwest Airlines flight from Portland to Sacramento threatened to kill everyone on the flight on Saturday after she was caught smoking a cigarette in the bathroom. A local Portland news outlet, KOIN 6, reports that the passenger, Valerie Curbelo, tampered the smoke detector in one of the plane’s bathrooms and smoked. After a flight attendant discovered what Curbelo had done, they entered the bathroom and attempted to return Curbelo to her seat. Curbelo then became agitated and confronted the flight attendant. 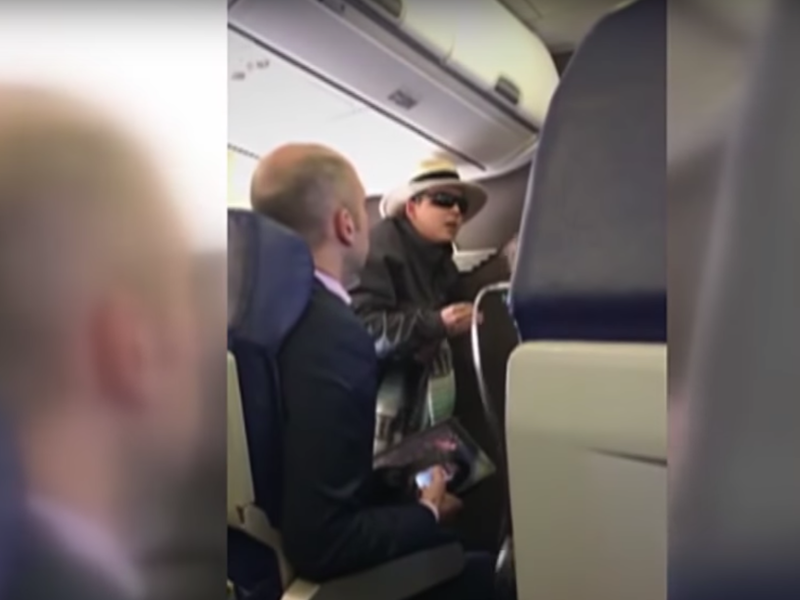 Curbelo was restrained by passengers and crew for 30 minutes until the flight landed, the passenger who shot the video told CBS 13, a local Sacramento news outlet. At that point, she was arrested on a felony charge and sent to jail on $75,000 bail, according to The Washington Post. “The safety of our crew and passengers is our top priority, and we take all safety violations seriously,” Southwest Airlines said in a statement to Business Insider. When a reporter from CBS 13 asked Curbelo why she made the threat, she replied that she was confused by her behavior.